The campus-wide screening will be held at the school, located at 602 Duncan Drive, in the Conference Hall, room 1101, at 3:30 p.m. CST on Wednesday, Feb. 13. The screening is free and open to the public. More information about the Alabama Public Television broadcast. APT toured the IndusTREES company’s operations at its pole-and-piling sawmill near Wetumpka. IndusTREES President Larry Jones and Vice President Lee Davis talked about growth trends of the wood products industry and their research partnership with Auburn to improve profitability. 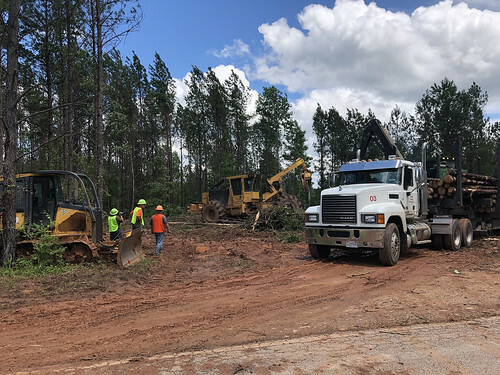 APT filmed harvesting operations at a Weyerhaeuser site in Tallapoosa County with Auburn University Regions Bank Professor of Forest Operations Tom Gallagher, Weyerhaeuser Harvesting Operations Manager Phil Tarver, and Tyler Slay, owner and operator of Slay Forest Enterprises LLC. 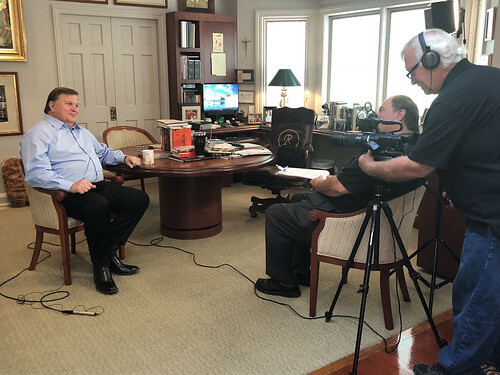 Auburn University Trustee James W. Rane, who is chairman, president and CEO of Great Southern Wood Preserving Inc., the leading producer of pressure treated lumber in the United States, sat with APT for an interview to talk about future trends in wood products and Auburn’s role in the forest products industry. 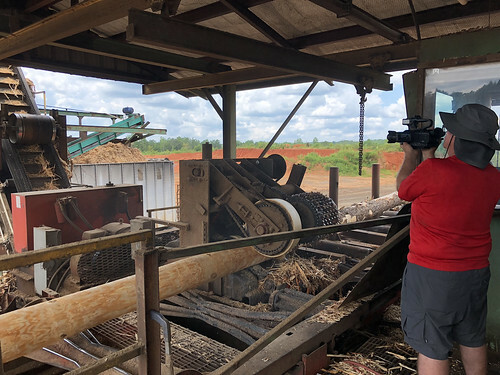 APT videographer Gary Brown, pictured, films Cross Laminated Timber, or CLT, manufacturing at the International Beams company’s recently opened $20 million facility near Dothan. Steve Lieberman, senior product engineer at International Beams, a producer of engineered Cross Laminated Timber wood product called IB MAX-CORE CLT, talked about the advantages of CLT and its unique decision to use southern yellow pine as the source of this innovative wood product. 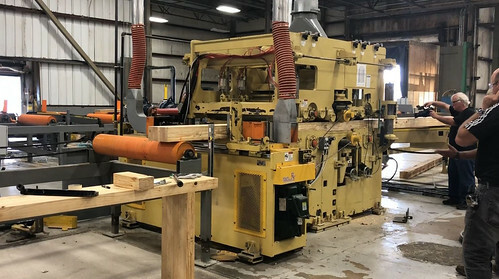 As another benefit of locating in Alabama, International Beams hopes to partner with Auburn University to further develop new mass timber products and the employee work force to service the growing industry.